Pavel Sivakov leads the overall leads classification in the Tour of the Alps, while the other Sky-youngster Tao Geoghegan Hart won two stages. Today's last race is yet another challenge in the high mountains. Friday 26 April - The final stage of the Tour of the Alps features two massive climbs in the second half of the race. The route amounts to 147.8 kilometres. The 4th stage of the Tour of the Alps takes in demanding climbs up the Forcella di Brez and Passo Predaia, while the finale features the steep La Puntara climb. Majka, Sivakov, Nibali and Geoghegan Hart battle it out with the young Briton coming out on top. The Russian youngster remains leader. The Tour of the Alps started last Monday to finish this Friday. The mountainous race is played out on the borders of Italy and Austria and features over 13,000 metres of climbing in five days of racing. A stellar field lines up at the start of Liège-Bastogne-Liège. Cyclingstage.com brings you the start list of 'La Doyenne'. 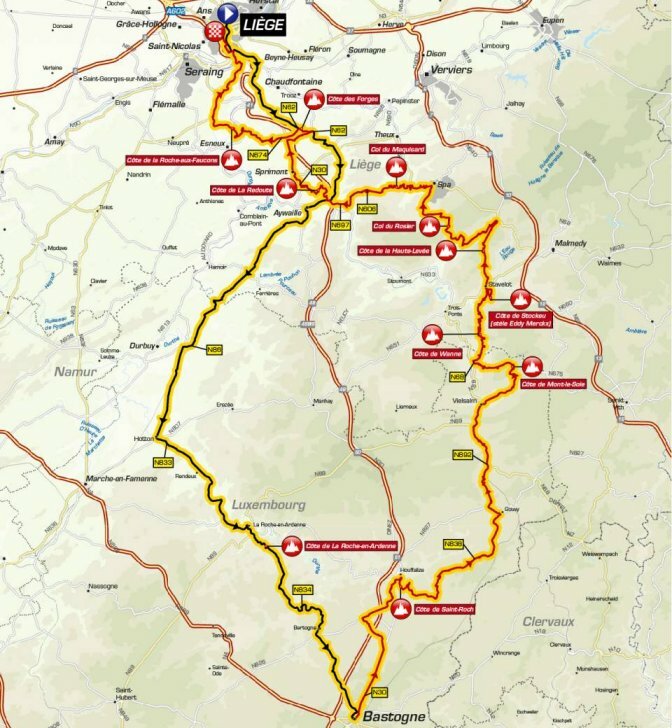 Liège-Bastogne-Liège is a war of attrition in the Ardennes. How brutal it exactly turns out to be depends on the weather, but at 256 kilometres it will be brutal anyway. Expect the toughest puncheur to come out on top. Who are the favourites to win Liège-Bastogne-Liège 2019?